Tuesday night: vodka and dancing at the Hungry Duck. Wednesday morning: posing as an expert on Pushkin at the university. Thursday night: more vodka and girl-chasing at Propaganda. Friday morning: a hungover tour of Gorky's house. Martin came to Moscow at the turn of the millennium hoping to discover the country of Dostoyevsky, Tolstoy, and his beloved Chekhov. Instead he found a city turned on its head, where the grimmest vestiges of Soviet life exist side by side with the nonstop hedonism of the newly rich. Along with his hard-living expat friends, Martin spends less and less time on his studies, choosing to learn about the Mysterious Russian Soul from the city's unhinged nightlife scene. But as Martin's research becomes a quest for existential meaning, love affairs and literature lead to the same hard-won lessons. Russians know: There is more to life than happiness. 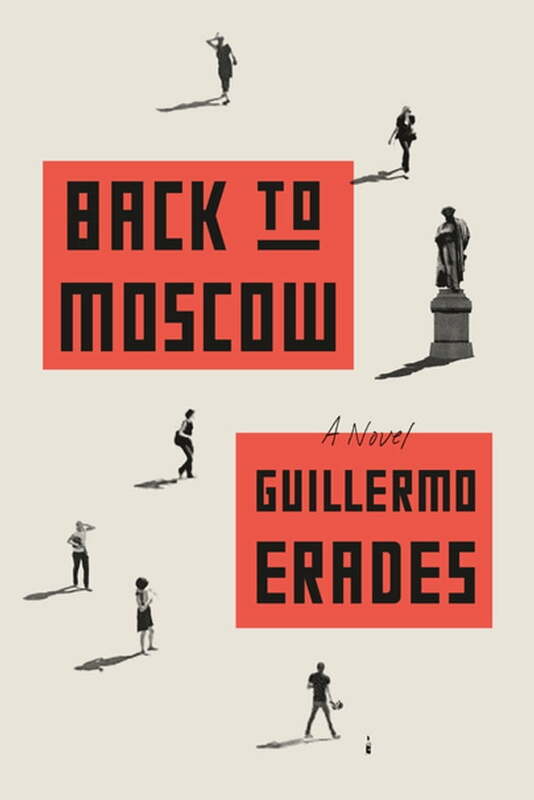 Back to Moscow is an enthralling story of debauchery, discovery, and the Russian classics. In prose recalling the neurotic openheartedness of Ben Lerner and the whiskey-sour satire of Bret Easton Ellis, Guillermo Erades has crafted an unforgettable coming-of-age story and a complex portrait of a radically changing city.